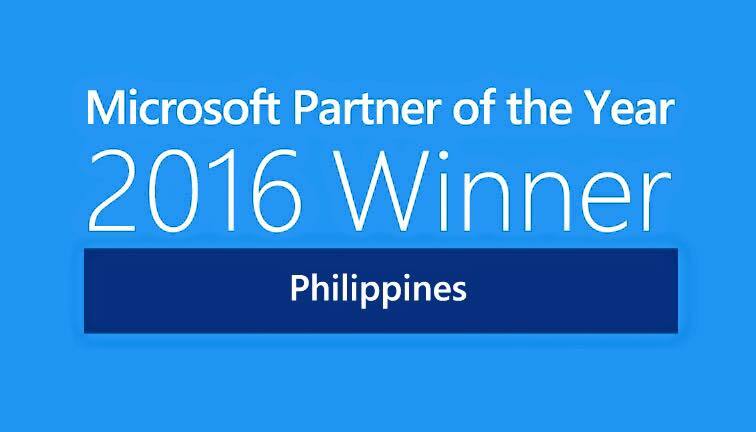 Alabang, Muntinlupa, Philippines— May 31, 2016 — Tech One Global today proudly announced it has won the 2016 Microsoft Country Partner of the Year Award for Philippines. The company was honored among a global field of top Microsoft partners for demonstrating excellence in innovation and implementation of customer solutions based on Microsoft technology. Awards were presented in several categories, with winners chosen from a set of more than 2,500 entrants from 119 countries worldwide. Tech One Global was recognized for providing outstanding solutions and services, as well as representing excellent subsidiary engagement in Philippines.